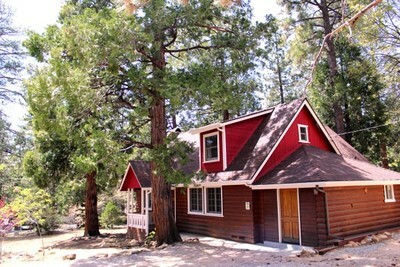 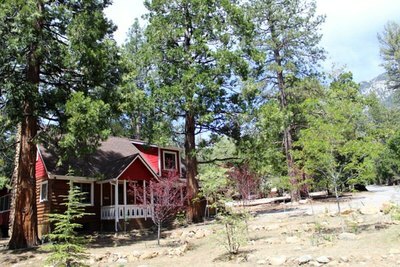 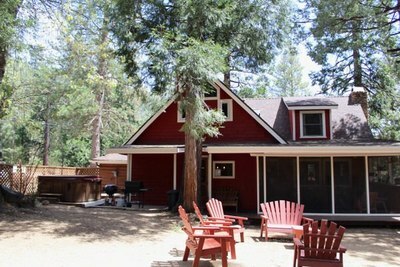 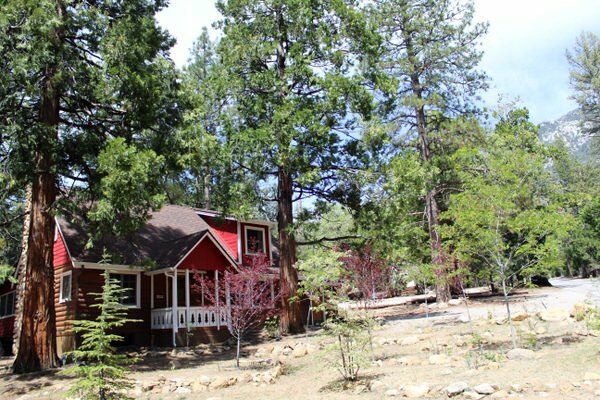 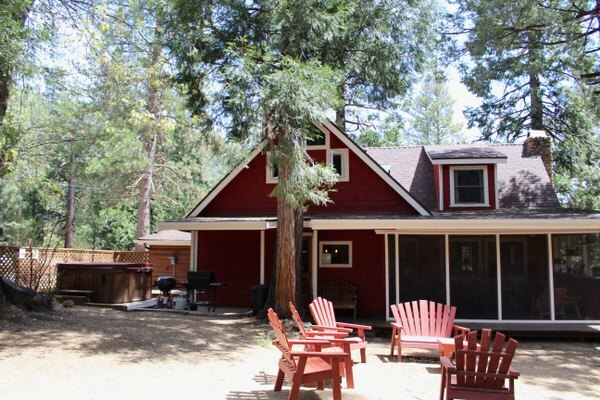 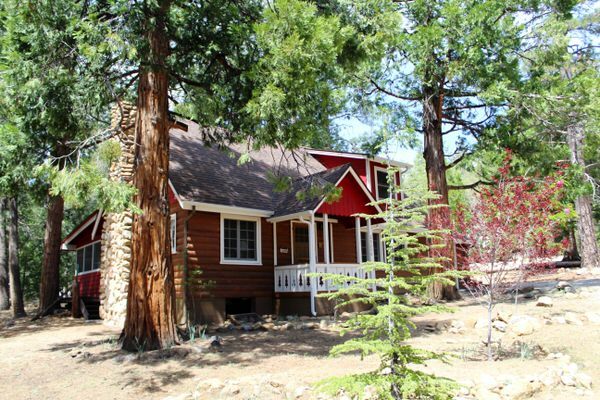 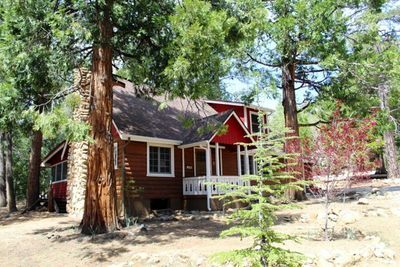 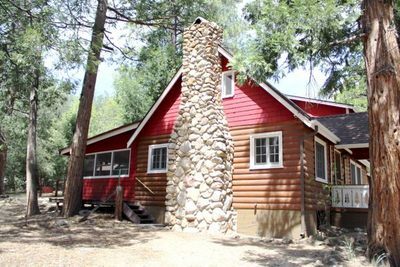 Star's Hollow - A Vacation Cabin Located in the Mountains of Idyllwild, Calif.
Star's Hollow results will display first in list - when available. 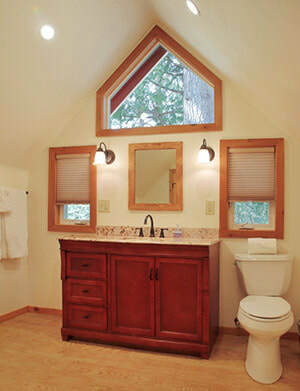 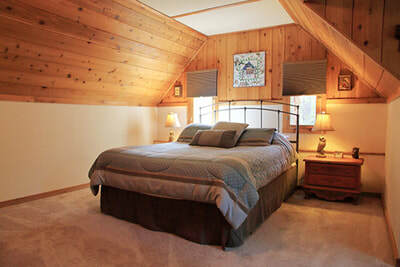 This cabin is full of knotty pine throughout and stands out. 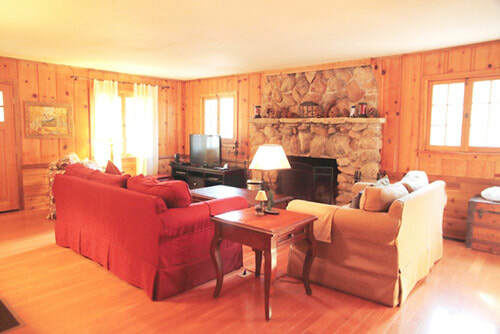 Star's Hollow is lovely mile away and walkable to the town center. It offers plenty of level parking for easy access in snow. 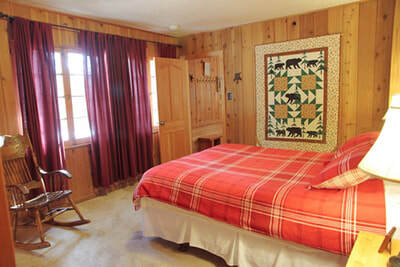 There are 3 bedrooms with 3 Queen beds, 2 bathrooms. 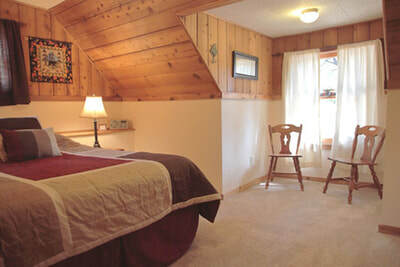 Star’s Hollow is Pet Friendly. 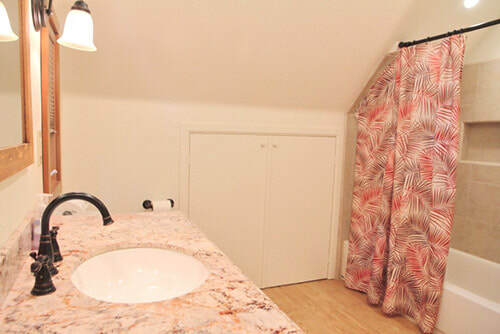 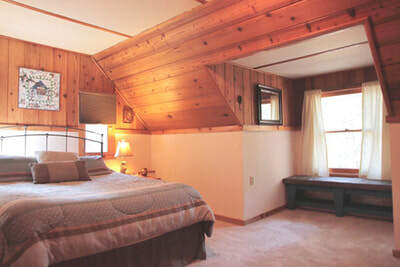 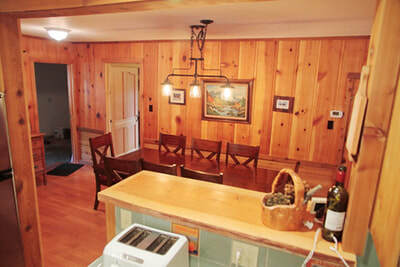 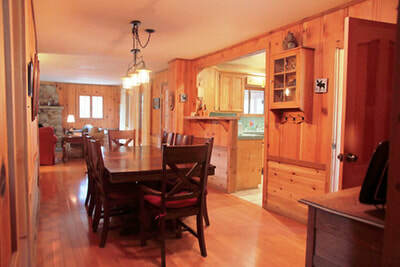 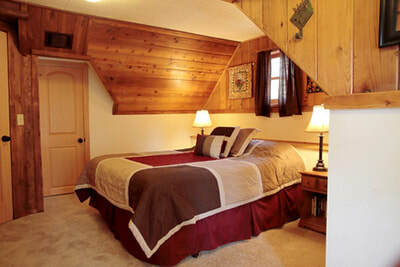 Downstairs, the cabin is decorated in a beautiful mountain decor with no clutter. 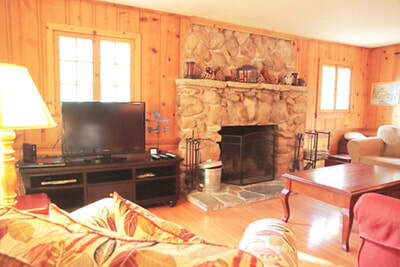 It has two comfortable sofas, one of which pulls out to a sofa bed facing a large river rock fireplace. The enclosed patio offers a cozy outdoor dining setting with an amazing view of the stars for gazing. 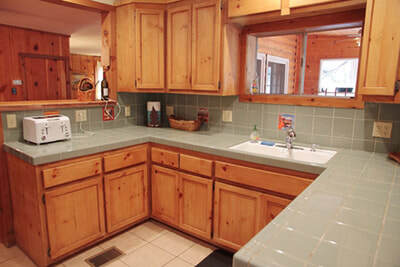 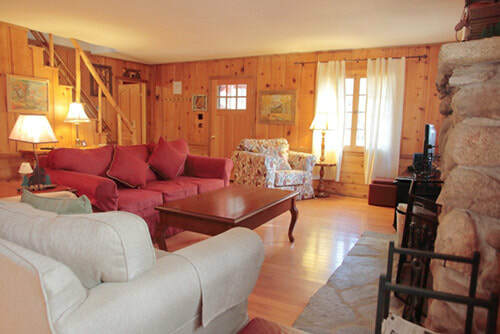 This cabin is equipped with a nice flat screen TV with cable and internet..
​A recently remodeled kitchen is furnished with all your culinary needs. 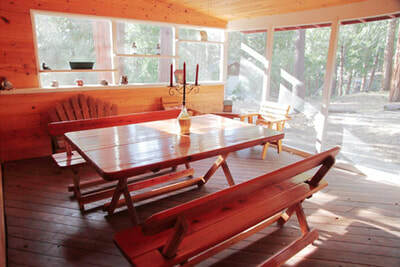 A dining table seats eight. 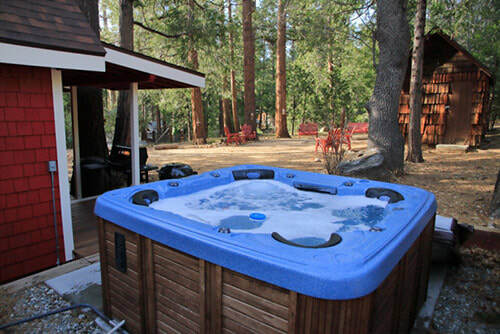 A new waterfall spa seats 7. 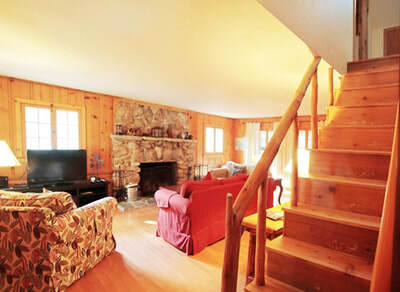 A new beautiful stairway has been added for improved access. 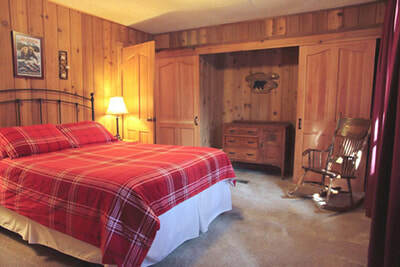 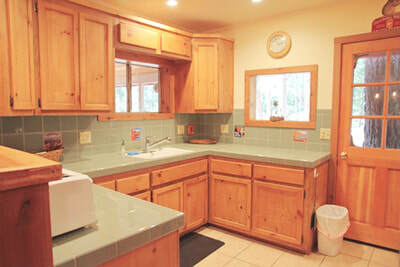 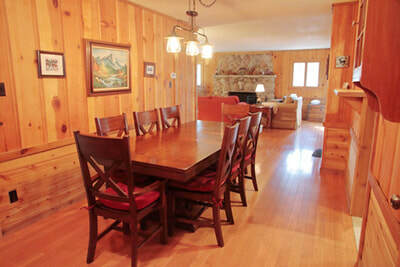 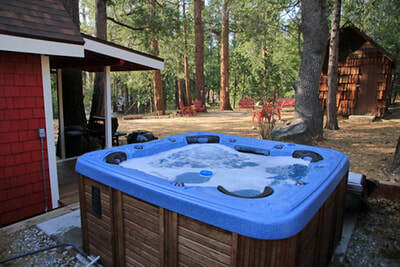 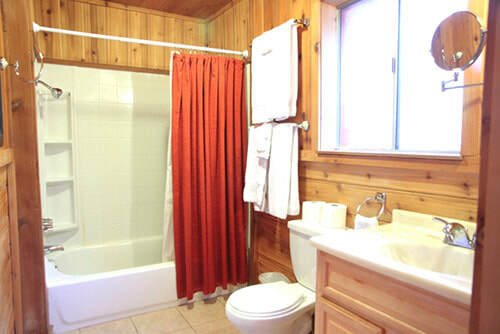 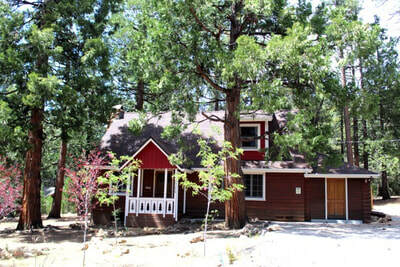 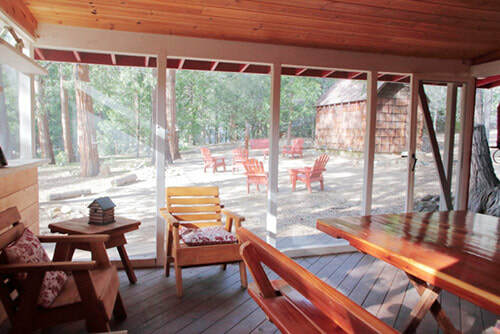 ​We believe you’ll enjoy Idyllwild at its best with your stay at Star’s Hollow.